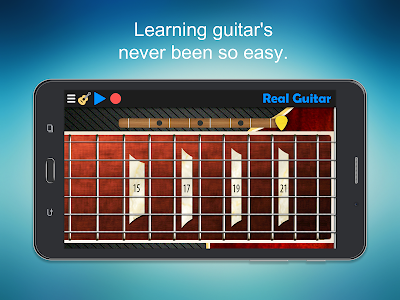 Whether you're already a dab hand, or an axe rookie but have always wanted to learn, this app will help you live the dream! 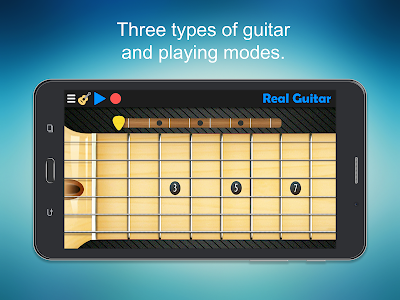 We bring you REAL GUITAR: the best and most comprehensive guitar app on Google Play. Playing is simplicity itself! 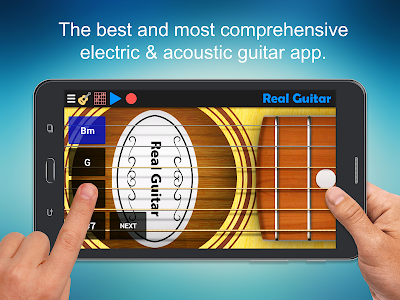 REAL GUITAR is an app that transforms your phone / tablet screen into a lifelike simulation of an acoustic or electric guitar. 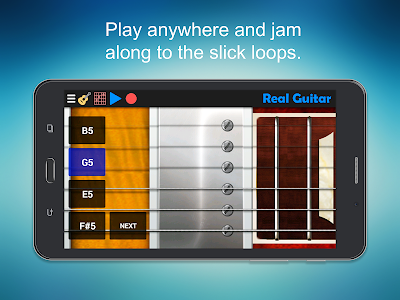 A fun, light and user-friendly app. 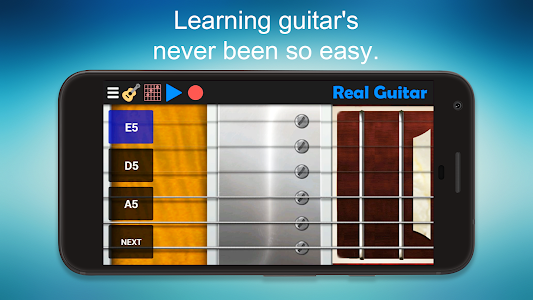 Ideal for anyone who wants to study or play guitar without bugging the neighbours or taking up too much space. 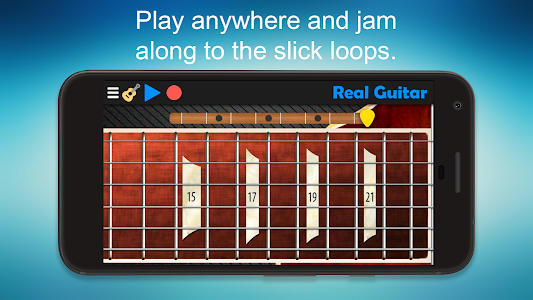 You can play chords and pick solos, as well as jam along to music in real time. 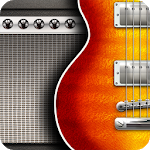 Sounds recorded in studio-quality audio. 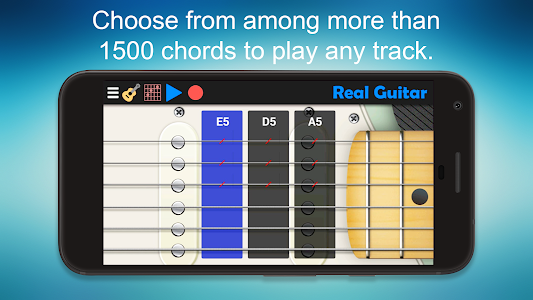 The library boasts more than 1500 different chords, allowing you to play along to any track you like. The app is free but you can remove the ads by purchasing a licence! 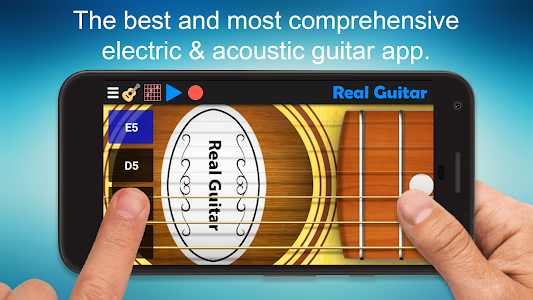 Play, strum, pick and pluck to your heart's content with the most comprehensive guitar app on Google Play! 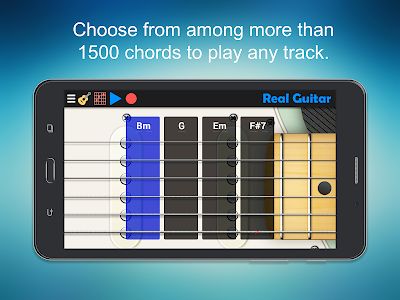 Perfect for all kinds of guitarists, professional musicians, amateurs or beginners. 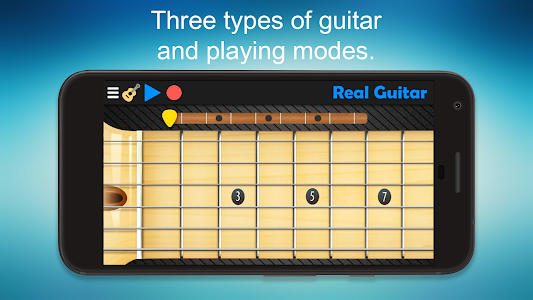 Similar to "Real Guitar - Guitar Playing Made Easy."